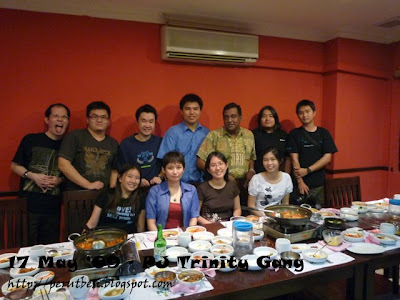 I sure look forward to our next makan/gathering session!! 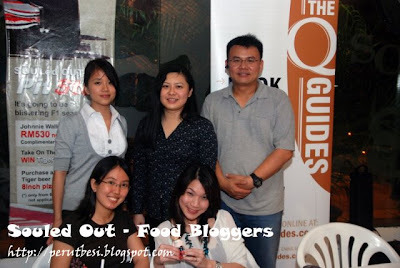 Occasion: Food sampling of Souled Out's refreshed menu & an evening together with foodies, organized by theQguides & Souled Out. 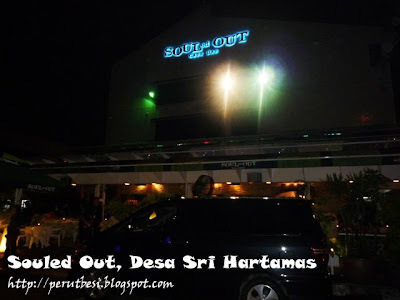 "SOULed OUT started in September 1996 at the Mont Kiara Shoplex and moved to its current premises at Desa Sri Hartamas in December 1999. 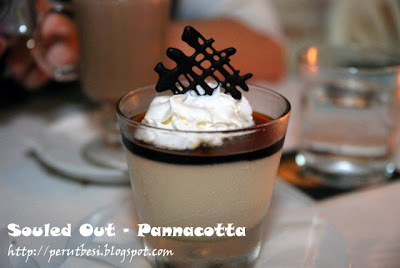 It is so named as each member of the staff at SOULed OUT puts his or her heart and soul into the preparation of the best in food with the best in service. They are also known for their showbiz talent! 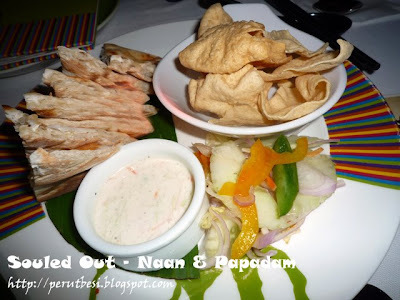 With a coquettish menu featuring a mix of local and Western favourites and an astute beverage list, SOULed OUT has won many hearts with its easy and familiar personality. A decade on, SOULed OUT has bloomed into a mature, confident yet innovative and fun dining venue, celebrating life every day where going to SOULed OUT is “as good as a hug”. 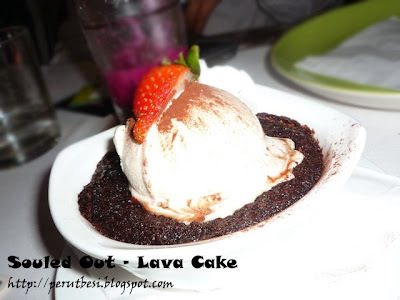 Popular among young and old, with an eclectic combination of food and beverage and an inimitable style all its own, SOULed OUT has proven to be THE place for any celebration." 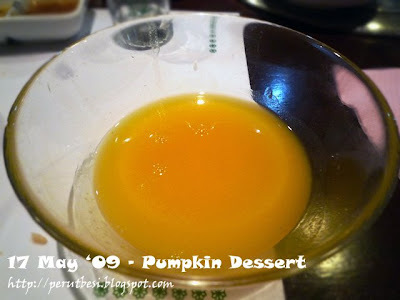 We had a good time catching up & savoring Souled Out's 'come-back dishes' as well as their 'newly introduced dishes'. Fanny, Marketing Manager (a.k.a. Propaganda Pixie) of Souled Out, made all the recommendations & gave us a wonderful dining time :) Although each of us ate a bit of each dish, I was SO full by the end of the night! 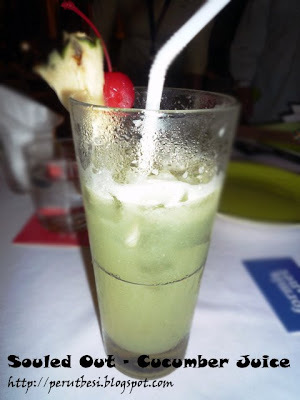 Our signature juice. 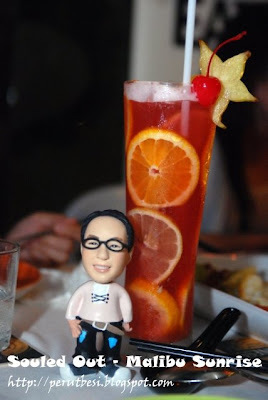 Red dragon fruit, watermelon, strawberry puree, Monin lychee syrup, fresh lemon juice. 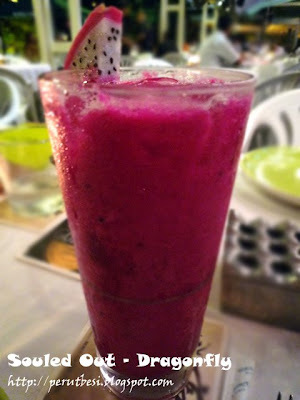 A robust mix of vodka, crème de cassis and pineapple juice. 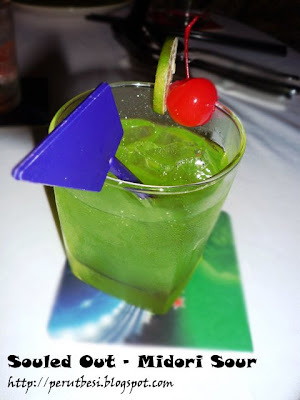 Midori, triple sec, fresh lime & syrup. 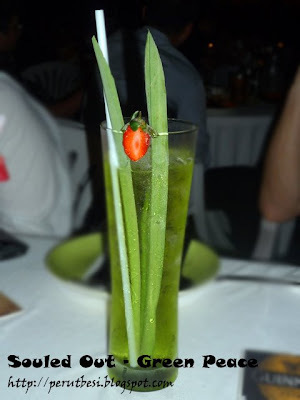 Limber up to the taste of white rum, Midori, dry orange curacao, sugar cane juice and pandan flavoured syrup. 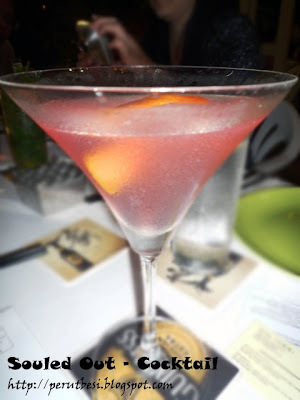 A blend of Absolut Vanilla, Malibu, Cointreau, pineapple juice, grenadine, lime juice, cranberry juice, orange and lime slices. 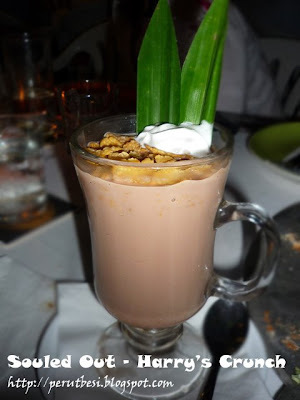 Gold Award in 2008 Mixology Competition, HORECA School of Excellence - Created by our very own Harry, this award winning warm combination of vodka, Bailey’s Crème de Cacao, chocolate sauce, pandan syrup, topped with crunchy cornflakes is heavenly mix. 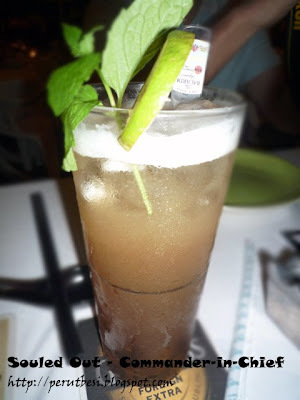 Bangsar-Babe had this, & she told me the name TWICE, but being a non-alcoholic drinker, I guess I'm just horrible in remembering names of drinks with alcohol. Bummer. 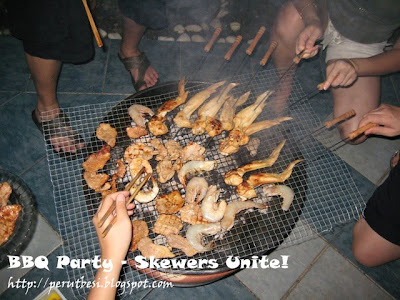 This category of dishes are mainly local dishes. 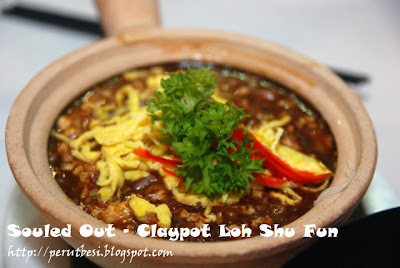 It doesn't taste too bad...just that it's lacking in the 'chue yao char'(lard)! 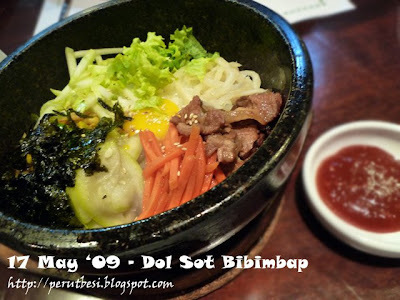 Aisehman...I love the Kuey Teow Beef Tau Si best :) Nice. 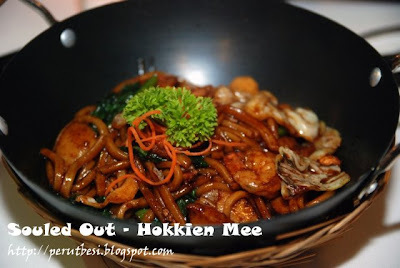 Thick yellow noodles fried with chicken slices, prawns and vegetables in a dark sauce. 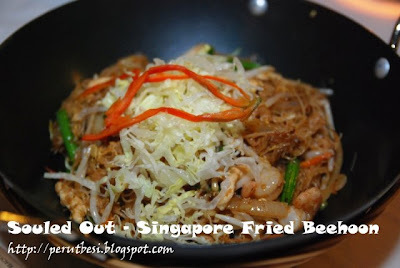 Fried rice noodles with shredded vegetables, prawns, chicken in tomato sauce. Short, thick rice noodles served with minced chicken and mushrooms in a dark sauce, topped with shredded egg. 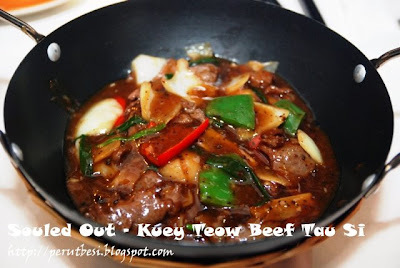 Fragrant sliced beef cooked in tausi gravy over koay teow. 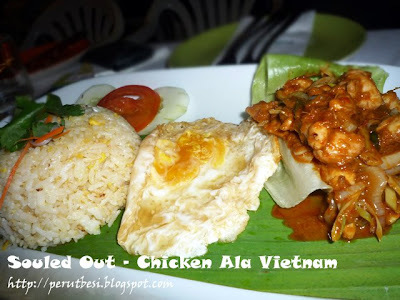 Chicken in exotic Vietnamese spices served with egg fried rice and topped with a fried egg. 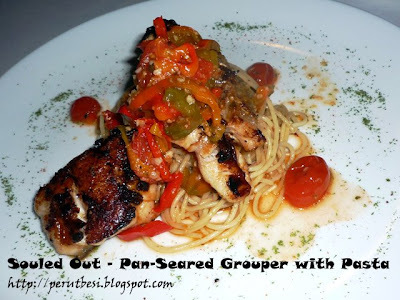 Grilled grouper fish fillet over mixed cajun pasta, topped with roasted sliced cherry tomato and pepper. Pizza! 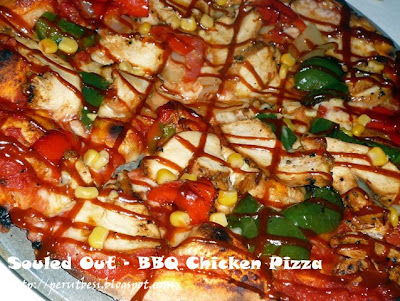 If you love thin-crust pizza, Souled Out's pizzas are quite good. You HAVE TO eat it when it's served hot, otherwise it'll be hard & chewy *crunch crunch crunch* The Sake San is quite interesting. I would never have thought of such an idea...hahaha...wasabi....eeek! 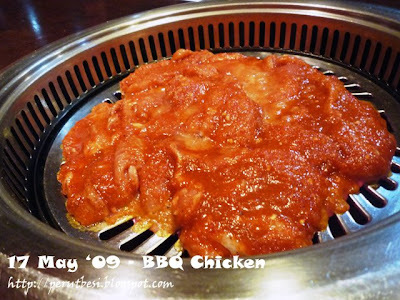 Marinated B-B-Q chicken, corn kernels, BBQ sauce, pepper and tomato salsa. 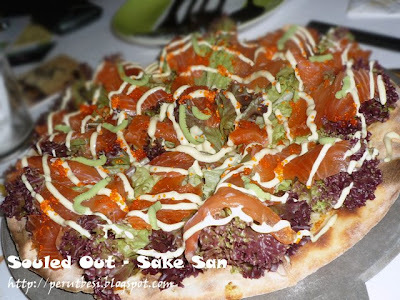 Salmon slivers, roe, cherry tomatoes,Japanese mayonn oaise, lolorosso and a hint of wasabi. 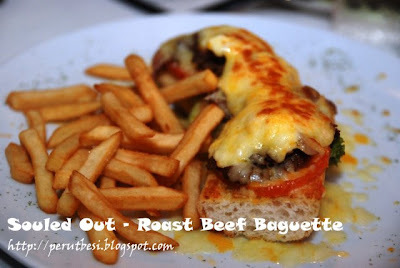 Baguette topped with sliced beef, salad, mushrooms, cheese and baked. 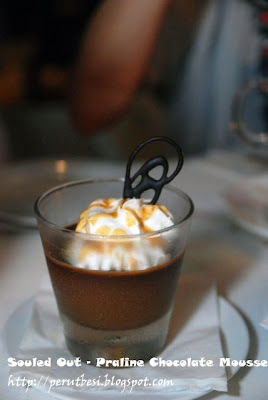 Creamy chocolate mousse with a hint of almond chocolate caramel, topped with lashings of cream. Happy Hours: 12:00p.m.-3:00p.m. & 6:00p.m.-9:00p.m. 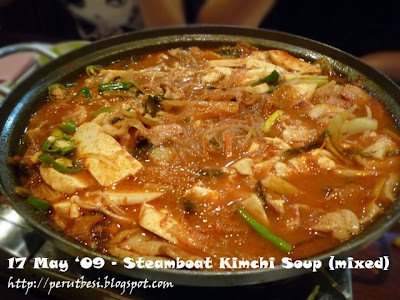 Overall comment: The Korean food here is actually quite nice (no wonder they have a constant crowd every week). Their prices are slightly higher than my usual place in Jalan Ampang, but if it's shared, it's actually not too bad. 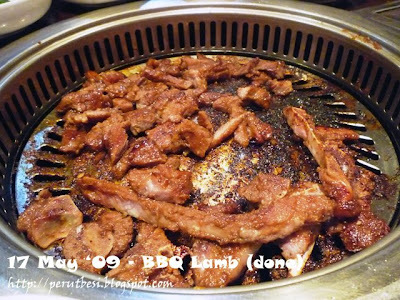 The ventilation isn't exceptionally good, especially when any barbaque takes place...the smoke was kinda trapped in the restaurant & we came out smelling like a piece of bbq-ed meat :P As for variety, I think it's quite limited, but it's sufficient for those who just enjoy the typical/common Korean food. Oh ya, service here is quite slow, but the waiters/waitresses are very helpful. 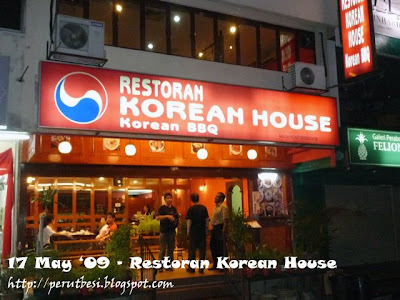 This is how the restaurant looks like from outside. 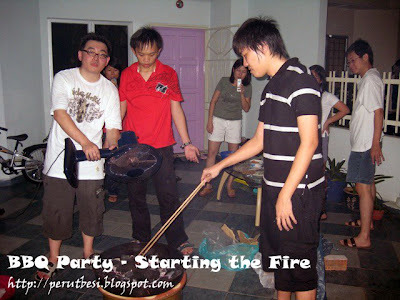 It's facing the main road in SS2, near the police station. The lamb was really delicious. 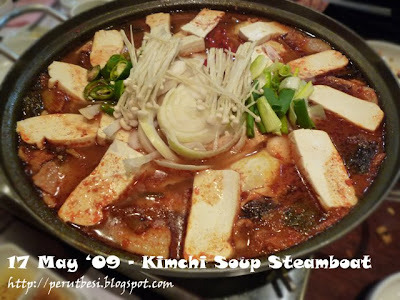 It's well marinated & is so flavorful that you would ask for more! 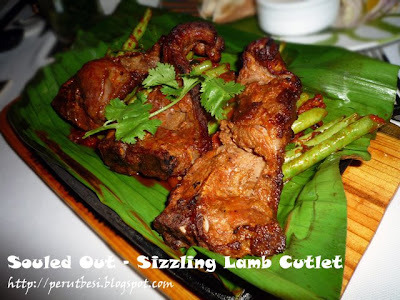 Just have to bear in mind that lamb is definitely more expensive as compared to chicken...I reckon we paid at least RM40.00/portion & the photo shows 2 portions of lamb. 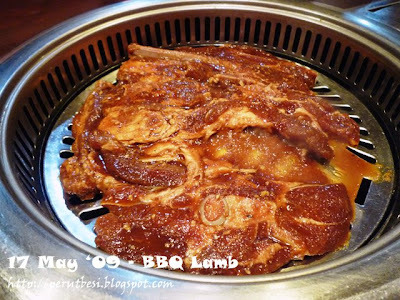 Lovely pork! Super fat, but oh so yummy!! 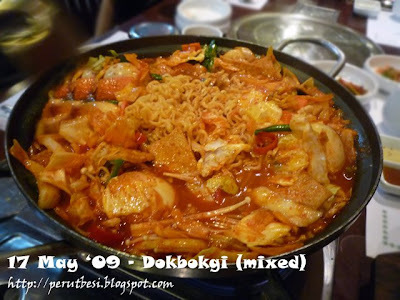 Guys will love this :D This dish is called 'samgeopsal' in Korean & it costs roughly RM35.00/portion. 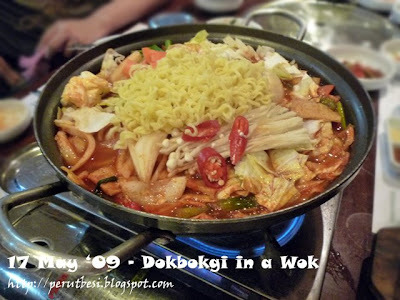 The photo shows 2 portions. 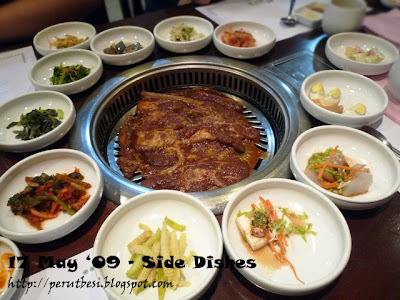 The variety of side dishes is pretty amazing...plus, as the Korean tradition, all side dishes are refillable (unlimited!)! 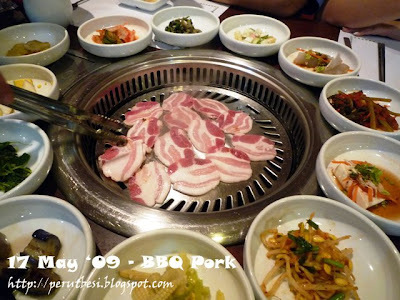 One could just come here & have one dish plus the many side dishes & be well-fed!